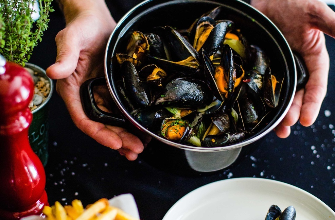 Belga will be serving typical Belgian Brasserie ‘comfort food’, highlighted signature dishes will be Mussels & Fries and a delicious selection of the world famous Belgian Waffles. An extensive range of both fine draft and bottled imported Belgian Beers, an attractively priced wine list and hand crafted cocktails. Resident DJ’s playing upbeat lounge music and weekly performances from live bands. A friendly place suitable for couples and small groups perfect for local residents and travellers from abroad. Belga is also available for private functions on request basis. None informed us that the menu outdoor was restricted. The mussels were tiny and cold. The « croquettes aux crevettes grises » did not taste at all like in Belgium, the chocolate coming with the Dame Blanche was ridiculously small. Please make an effort to be better Ambassadors of our delicious Belgian food ! Place is nice, good.music and service. Didn't like the "croquettes " but i guess depends on people taste. Bill was more than expected with services charges vat and extra for sitting outside. but ... air con is not ok , hot ! Good beers. The cheapest one was not available. Good atmosphere. Only a few options for appetizers..
Good variety of food on the menu. What we had for our dinner they are good taste and good potion. Service was hectic but still friendly. Will go back for the food next time! We recently returned for the second time, about a month apart in visits. Both times we just enjoyed the view and the fabulous service on the rooftop bar/lounge. The greeting immediately after exiting the elevator and the friendly assistance to find a great table with a view was on point both visits. The hostess staff is superb!!! Our drinks and experience at the rooftop bar were without issue. The second visit we transitioned from the bar to the Brasserie. It was immediately obvious there was a different level of service while dining, and where it went downhill. We waited for about 10 minutes until I decided to inquire if we had someone available to assist us with our order. The restaurant did not seem busy and there were many open tables. Guests need to be offered a cocktail immediately after being seated. The service was inattentive if you wanted something you needed to grab the attention of one of the staff. The food was ok, (about a 4 on the scale), but the prices commanded either an increase in the quality of entrees and an upgraded level service. 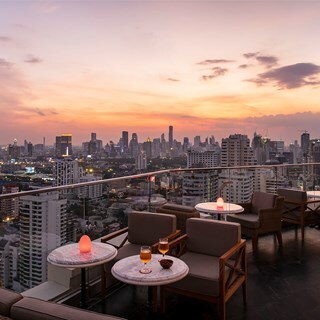 The rooftop bar and service are very nice and offer good value. But I would not move to the Brasserie after, there are many more superior choices available in the area. Very suggestive atmosphere, good dishes and punctual and very polite service. Good restaurant to celebrate a moment of joy..
Fabulous make over ,   great experience ,  great food , excellent service , great management, good drinks,  manager gave us great recommendations ! Härligt att börja med ett glas bubbel och njuta solnedgång över Bangkok, innan man njuter vidare av god mat och service! The wine was great, the food interesting and the location was amazing. We got there around 30 minutes earlier than our scheduled reservation. 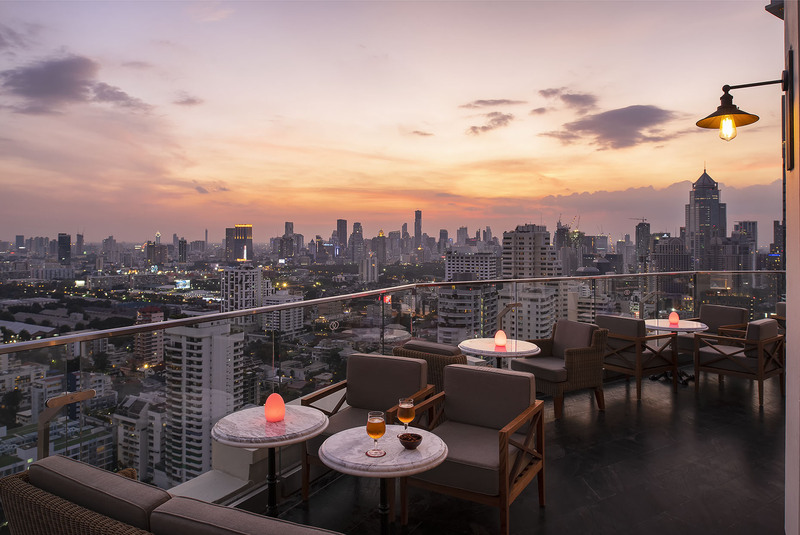 Nevertheless, we were ushered in and, upon request,we were seated at a table overlooking the Bangkok skyline. The food servers were warm and explained to us what we were ordering. I will definitely dine and wine here again when I visit Bangkok. Super ambiance, vue magnifique et services impeccable ! Good quality foods. Good prices. The view is good but the ambience is not. The location promotes itself to be "the first real Belgian restaurant in Bangkok". I ordered the grey shrimp croquettes (which were quite good) and the typical Belgian "Steak frites". I was wondering that a steak with bearnaise sauce was served with garlic butter on the top. Never seen this before! The garlic does not really harmonize with the bearnaise sauce (which was excellent!). But, these dark brown, fat potato sticks that they called fries are the worst one I have ever eaten and are a shame for each Belgian (... and I am a Belgian). Definitely the Best Dining we had in the numerous dining whenever we visit bangkok. Service was excellent. Food is Superb and very delicious. We truly enjoyed the dinner. Food was good. Environment was great. I loved the Belgian draft beer and the mussels.Only small comment on the waffles that is quite over-priced, compared to other dishes. Staff poco efficente ..nemmeno parlandogli in thai ti ascoltano..3volte la bill sempre sbagliata..avendo prenotato con 3settimane in anticipo..non avevano riservato il tavolo..gli antipasti ..arrivati insieme si sono raffreddati ed il tavolo piccolissimo..al vino..insomma altro punto..subito servito..poi dimenticati l ho dovuto versare io..altrimenti..una pena che il manager non veda questo grossissimo problema. Perfect for New Year ! Splendid Belgium food ! 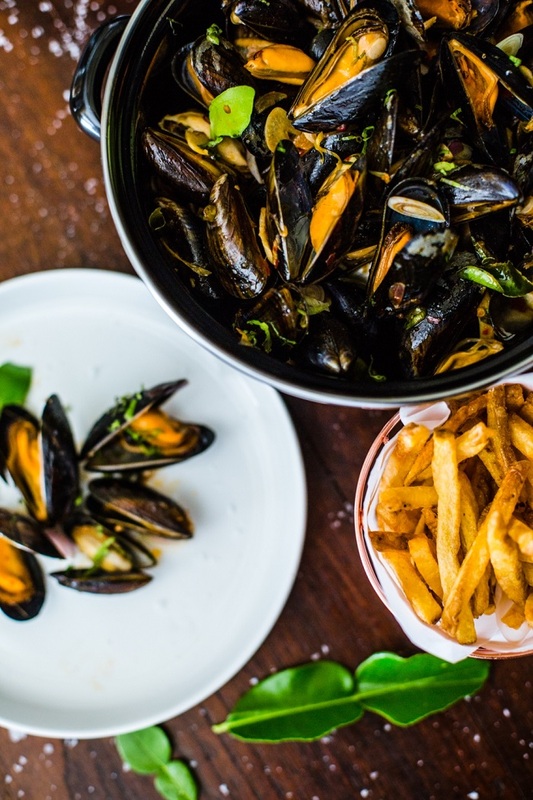 Fresh Belgium Fries and a wilde range of Belgium Beers for a correct price! Good tasting mayo and not the sweet Thai variant... we shure come back and wishes you all good luck with the business ! Note: the beer must be served in the right beer glass... a pitty for the Orval... but as Peter told us the glasses are available...was it just a little serving problem !